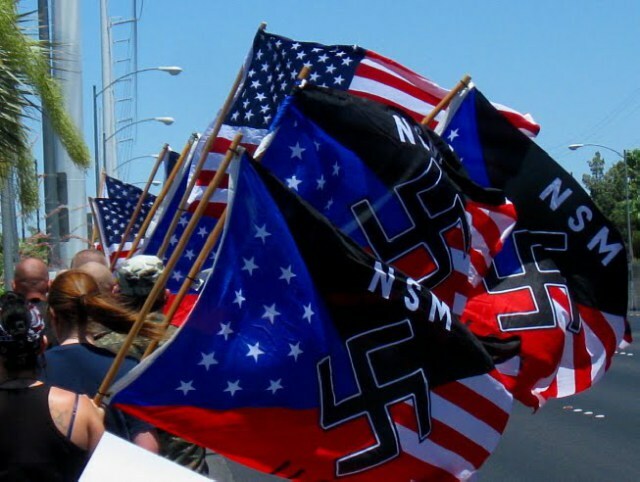 BY KEVIN SAWYER – After a Donald Trump rally turned into a knife fight in Sacramento, The Traditionalist Worker Party has decided that they need to send at least 30 members of their organization to the Republican Party convention in Cleveland in a few weeks. The party believes that it is the only way that Trump can be protected from left wing incited violence. The Traditionalist Worker Party is much alike many of the other white supremacy groups in the country and around the world. They fight for a white America that, they believe, continues to be marginalized. They believe that the political and social voice of white people in America is continually drowned out by a totalitarian government and by anti-Christian forces. Over the last weekend, on Sunday, they held a rally in support of Trump in Sacramento that degenerated into a violent clash in which at least five people were stabbed on both sides of the fray. The white supremacy advocates blamed the group the labeled to be “anti-fascist” or starting the trouble. The look to head to Cleveland to prevent what they see as left wing agitators constantly causing trouble and disruption at Trump events. The Sacramento Republican Party distanced themselves from the Sunday rally and stated that they in no way endorse the actions that were taken there by either side. To be absolutely certain, there will be many left wing groups and organizations bound for Cleveland who look to disrupt the convention and protest against the policies and views of Donald Trump. Several of these groups believe Trump to be racist yet fail to actually define what they mean by the term they just sling around. 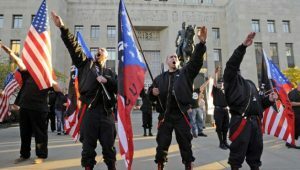 All declare that they are not afraid of the white supremacists and expect to attend Cleveland and protest peacefully. What everyone is saying and what everyone will eventually be doing may not be the same thing.